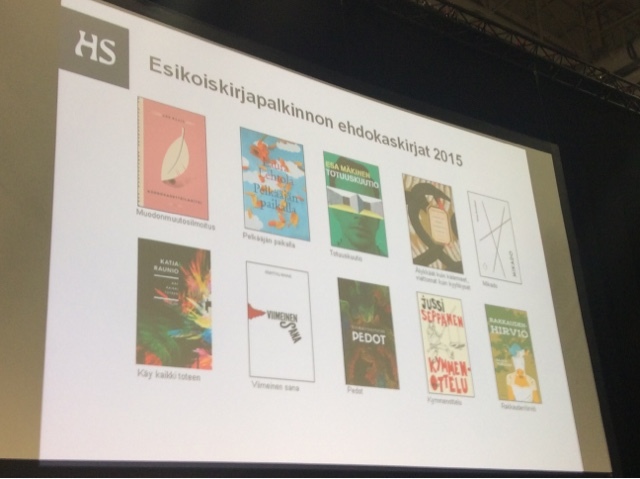 This was a huge week for me: lots of bookbinding, but more importantly my poetry book Mikado was shortlisted for the debut book award by the biggest newspaper in Finland. 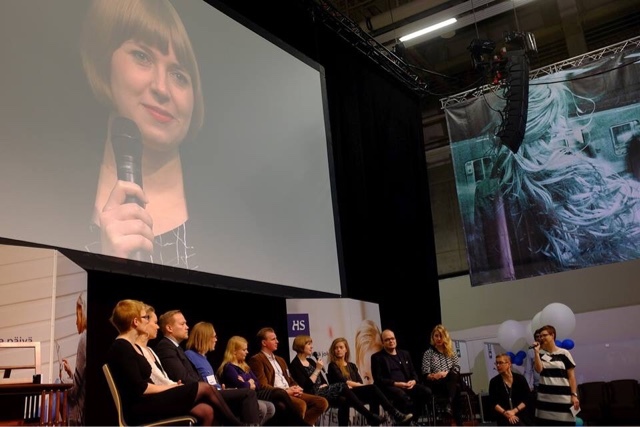 Today I was interviewed on a big stage at Helsinki book fair and I can't really remember much about it. Nerves are fascinating things... The winner will be announced on the 18th, so there's still plenty of time to be nervous. 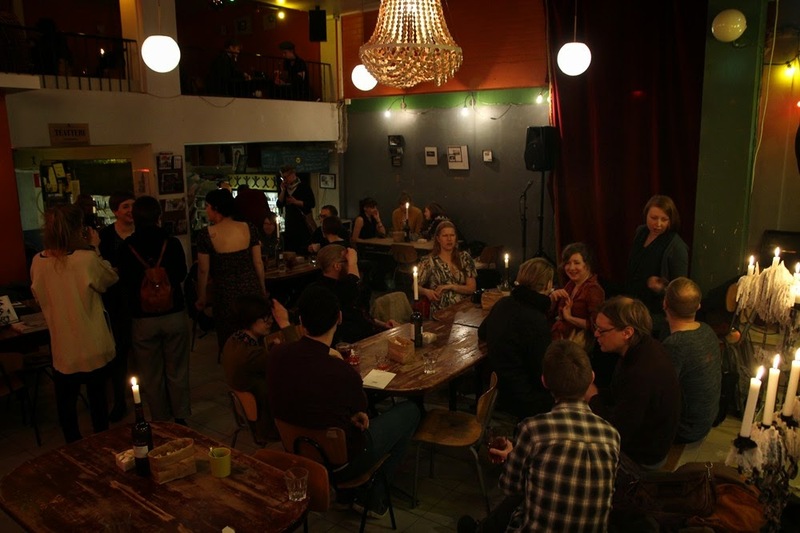 As the only poet amongst talented prose writers I'm not too optimistic about my chances, but just being on the shortlist is an honour in itself. You can buy or download Mikado (Finnish only, sorry!) here. Six new coptic journals with covered spines now on Etsy. The coptic binding is nowadays mostly known as an exposed spine binding, with the chains of stitches visible on the spine. Originally the coptic bindings often had a leather covering, also on the spine, and the modern non-adhesive bindings tend to use only the binding structure the originals had. The coptic binding is one of my absolute favorites when it comes to bookbinding techniques, both with and without a covered spine as it opens perfectly (if the covers are attached properly, oh the disasters I've seen online...) and is such great fund to sew. I've made coptic bindings with covered spines before (the one I made for V is the latest), either with pasted down leather spines or spines with a loose leather covering. Some time last spring it occurred to me it might be possible to use linen in the same manner I've used leather in the loose spine coverings, but at first I thought it probably wouldn't work. I don't know why I thought so, since no trial and error was necessary when I made my first book, just trial. It worked out perfectly. I like this version quite a lot, since it's sturdier and more durable than the basic coptic binding. I've added glued down endpapers to these books, so they add some rigidity (the desirable kind!) too. The spine protects the binding from abrasion and adds a little variety to the basic structure. I love the simplicity of these books, just two colours and the perfect materials! What more do you need, really? Finally cooling down here. Windy and cloudy. I finished my poetry manuscript. Breathing is easier.